Your website is your most important digital asset and so protecting it is as important as ensuring positive cash flow, paying staff salaries and keeping the lights on in the head office. 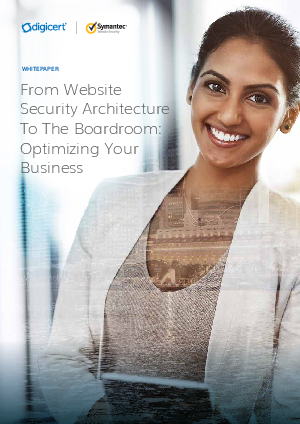 Despite the threats and the importance of website security, IT department organization, goals and technology – their ‘website security architecture’ – is often unfit for the purpose. With correct planning and strong execution, CIOs and CISOs can create a problem-solving, self-aware, agile organization that is better protected against fast-changing threats. This white paper explores the challenges they face and suggests a roadmap for change.